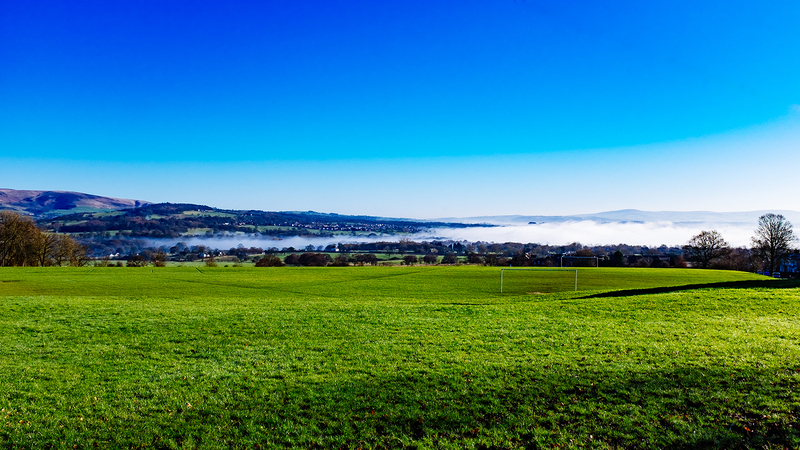 This is a quick landscape I took this morning from Memorial Park, Great Harwood in Lancashire. 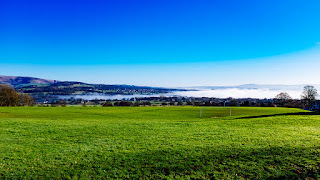 My wife called me to tell me to try out the new camera as the mist was rising out of the valley, so I hot footed it up to the park! The hill on the left is Pendle Hill. It was a bit rushed and it's my first landscape using the new camera (enough excuses already!) but I quite like it! As I no longer take a tripod with me as part of my minimal photographer kit, it was taken hand held and I used ISO 200, f8 1/420 sec. I could probably have done with using f11 or f16 but never mind. My plan for images is to edit on the go to free up my workflow if I can figure out the WiFi between my phone and camera, however, this one I edited quickly on my desktop and used a Fuji C-Velvia 100 preset.